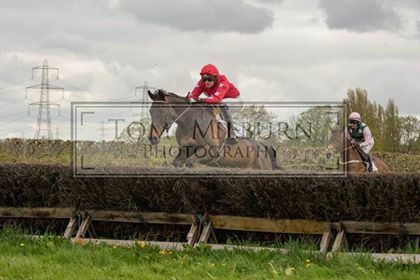 The current Point-to-Point season is upon us once again, the link below will take you to the latest fixture list. 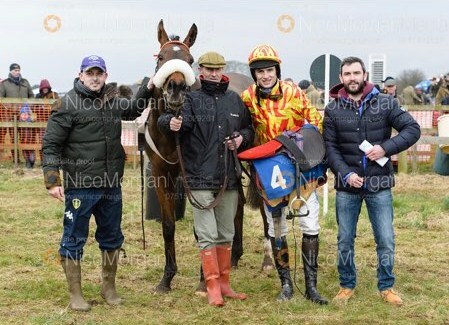 Point to Point has been good to us this season, so far. 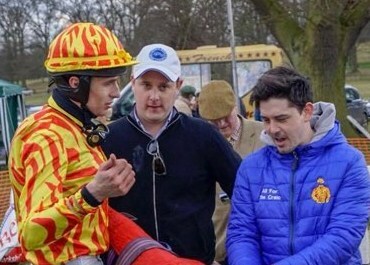 Some of the Point to Point races can be found if you search on YouTube. 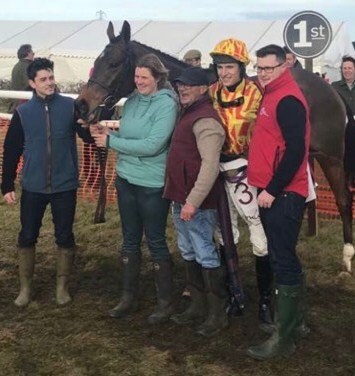 28 January 2018: Dulhallow Tornado won first place on his first start for the yard, and for the new owners "All For The Craic Syndicate"
The point to pointers have made a great start to the season with Duhallow Tornado making it 2 wins from 2 for the yard, with a bloodless 20 length win at Brocklesby Park on following on from his victory at Thorpe Lodge 3 weeks ago. 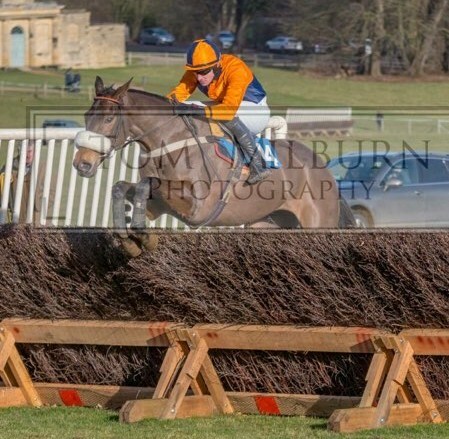 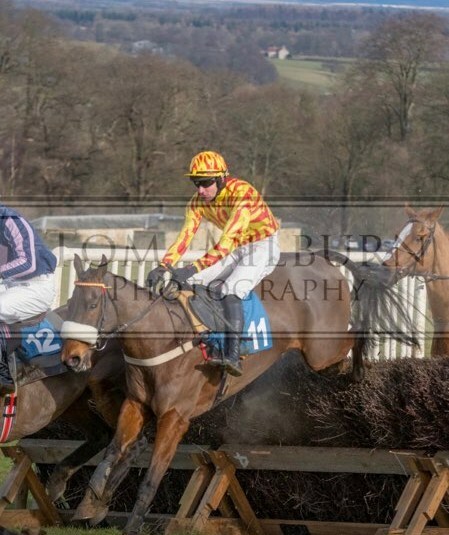 Streets of Milan and Young Dillon finished 2nd and 3rd respectively at Duncombe Park on their first runs of the the season and now head to Charm Park in 2 weeks time. 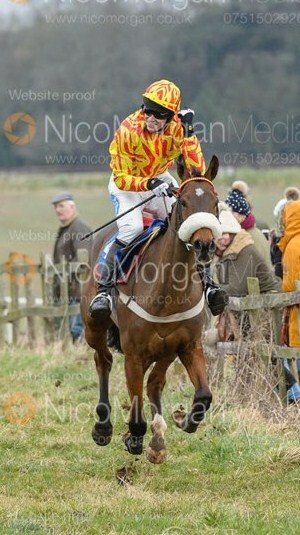 Photo's by Nico Morgan Media. 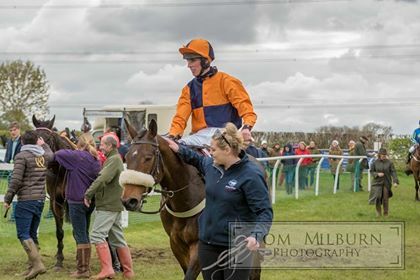 Catterick - 7th March 2018 - Tornado blows them away again. 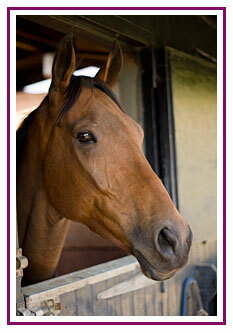 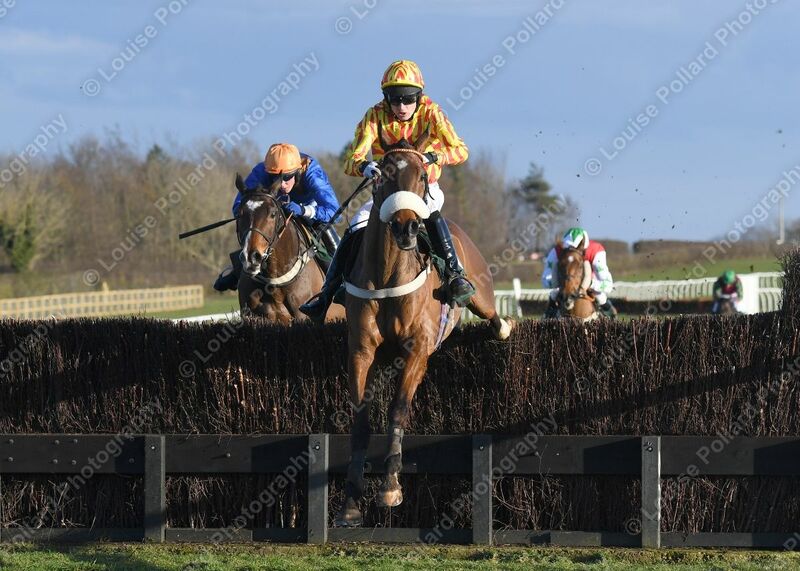 Dulhallow Tornado won his 3rd consecutive race at Catterick on 7th March, winning a hunters chase. 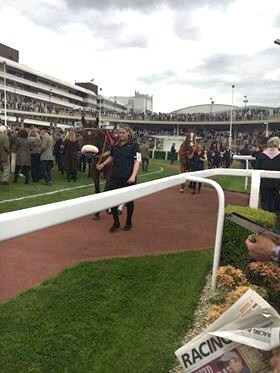 Tom Strawson rode as usual. 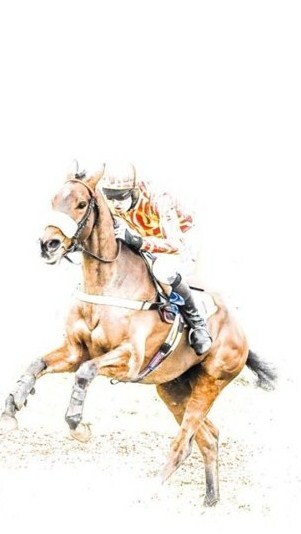 This was his first win under National Hunt rules after winning at many point to point races. 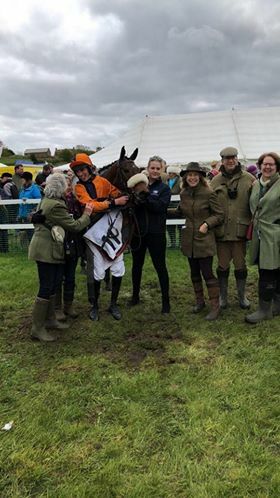 Bad weather has meant that several point to point meetings have had to be cancelled. 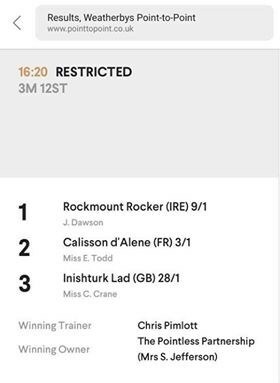 We hope to have 4 runners this weekend. 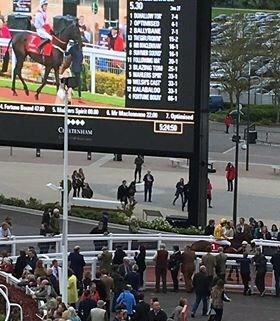 We had another winner today! 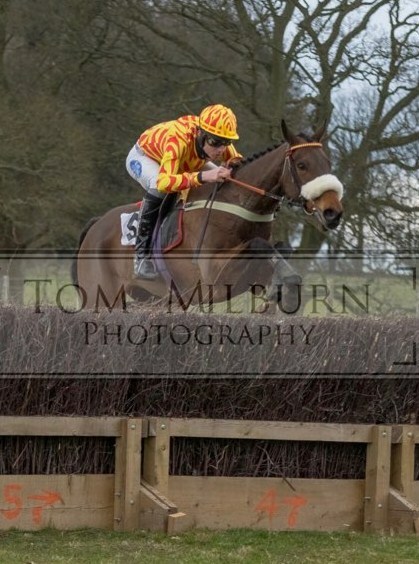 Streets of Milan won at the second time of asking for our yard at the Dalton Park meeting, jumping brilliantly to win. 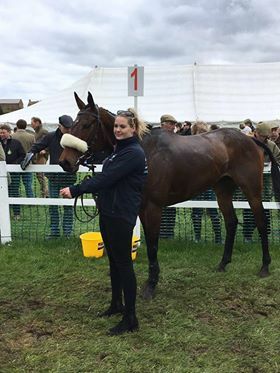 Rockmount Rocker did it again and gained another 1st to his name at the Easingwold point to point, by winning the restricted place. 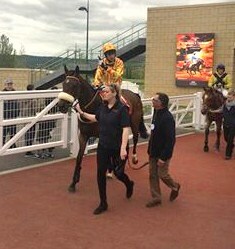 Aldergale came 4th in the same race. 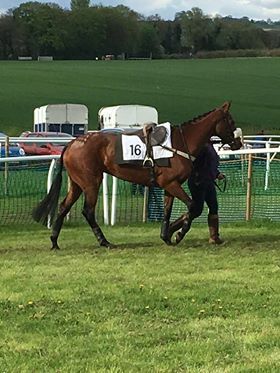 Young Dillon (No 18) also ran and wasn't disgraced, and Oscar Winner (No 16) was just that by winning the "Best Turned Out" horse after Catherine spent some time and had her looking oh so very smart. 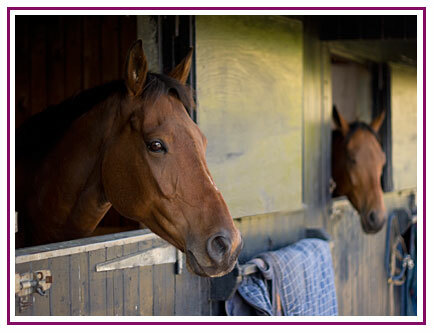 All these horses are trained by our Yard. 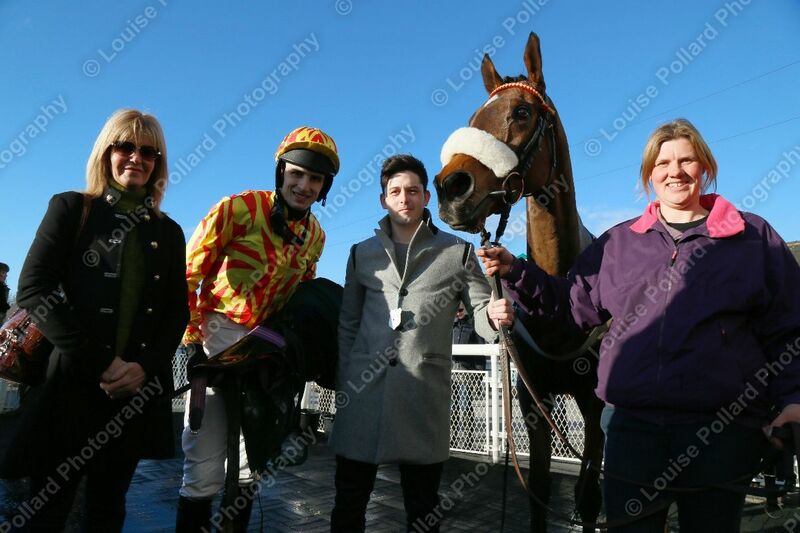 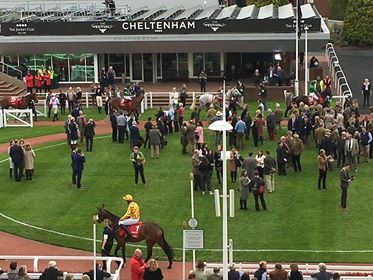 We took Dulhallow Tornedo to Cheltenham for the Hunters Chase meeting. 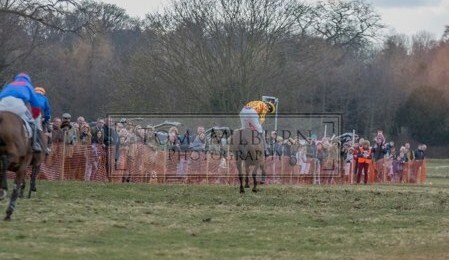 He came 4th, which was a great run considering the competition. 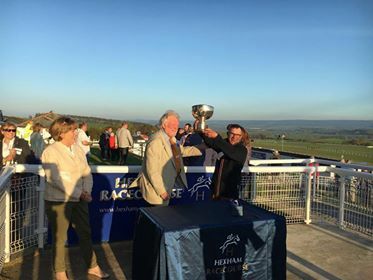 We took Streets of Milan to Hexham to the evening meeting and were rewarded with a 1st place, winning the Heart of England Cup, a race that Streets of Milan had to qualify for before being able to take part. 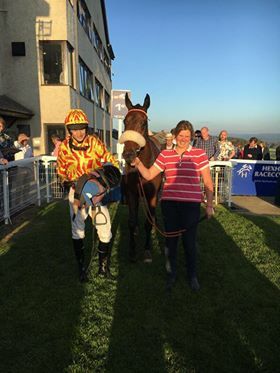 Well done again to Tom Strawson as the jockey. 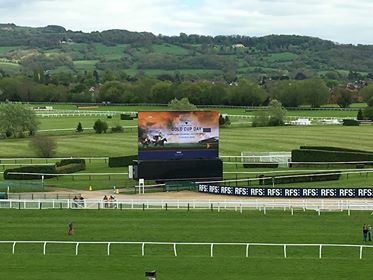 Keep checking back for the latest news as it comes in.